A practical, protocol-oriented guide to the practice of neurology in the hospital setting. 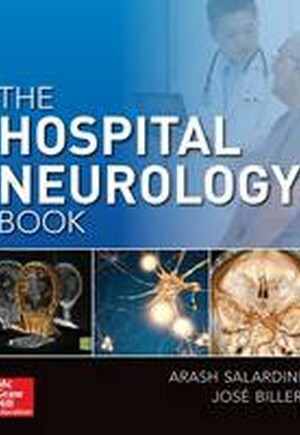 Designed to meet the need for a practical and pedagogical resource on hospital neurology, The Hospital Neurology Book is a concise and useful work that guides general neurologists, neurohospitalists, and internists in the proper care of patients in the hospital who have neurological diseases and disorders and associated internal medicine conditions. The Hospital Neurology Book features a highly readable format, providing information physicians can act upon, including recipes and protocols for patient care and question-based chapter headings that lead physicians to the exact issue they are dealing with in the moment. Realistic case studies appear throughout chapters alongside practical tables, algorithms, full-color illustrations, radiological images, detailed references, and high yield key points useful for consolidating learning. It is a unique practical and pedagogical tool that takes a symptoms-based approach to neurology practice in the hospital setting. It is organized around common presentations that a hospital neurologist or a hospitalist with neurology patients would likely encounter. It utilizes a case-based approach for optimum assimilation of information. It concentrates on presenting hospital neurology in a digestible way, focusing on practical information and approach, while providing references to more detailed sources of information. Each chapter is self-contained and can be read in any particular order, based on interest or need If you are looking for text that bridges the gap between the way neurology is taught and is actually practiced in a hospital setting, your search ends here.